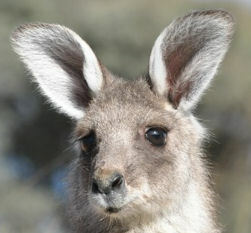 Kangaroo & Wombat Workshop funding arrangements fall short - Can you help? Michelle Thomson, of Animalia, is hosting two wildlife care workshops with Linda "Indi" Dennis: one is on kangaroos and the other is on wombats. 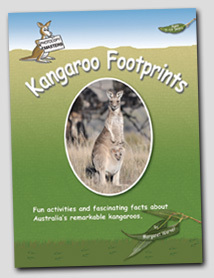 The workshops teach how to care for Kangaroos, Wallabies, and other Macropods and for wombats. Linda "Indi" Dennis is a well known wildlife carer,educator and advocate for our wildlife. By the way, Animalia, which operates on a shoestring, has advance-funded this workshop and now a major funding source has fallen through. The Animal Shelter may have to close if no fresh funds come in; the situation is actually desperate. Please consider donating to Animalia if you cannot attend the workshop. There are more and more injured animals as human population expands, and not enough qualified carers. Workshops that actually train new carers are as rare as hens' teeth. Animalia takes this initiative time and time again. Please help keep this little ark afloat. Read more about Kangaroo & Wombat Workshop funding arrangements fall short - Can you help? The issues facing kangaroos on the Peninsula, state and countrywide are serious and it is vital we get the word out to the public. We can offer a few ways for concerned citizens to get involved and express their opinions to be a voice for wildlife. Greensbush Association is screening the new international film about Kangaroos in Australia at 5.30pm May 25th at Main Ridge Community Hall, Main Creek Road, Main Ridge, (Mornington Peninsular) Victoria. This film has been screened and reviewed widely around the world to stunned reviews and I have not found any negative ones. It is not so well known in Australia, of course, because it challenges what governments and corporate press have to say about kangaroos. The Association screening this film is named after Greensbush Mornington Peninsular National Park, which is one of few places where kangaroos might now dwell in comparative safety, were it not for people on neighboring properties who treat them like pests and the Victorian Department of Environment, Land, Water and Planning which encourages this redneck approach to wildlife. Victorians will be concerned to hear that this film tells how the West Australian Commercial Kangaroo Meat industry is running out of kangaroos and planning to open up in Victoria. Of course the grubby Victorian Government is looking for any excuse to get rid of our wildlife. Turn up to this film-screening and maybe you can network with fellow wildlife warriors. The kangaroos need all the help they can get. If you doubt this, check the film out. Donations to cover the cost of the film and venue hire. All welcome! Map to venue at end of article. You can hire this film, host a screening, from kangaroothemovie.com. Recent mainstream media articles raise serious questions as to the policy base behind the ACT government policy to kill Kangaroos. Join us and hear about the research base purportedly in support of killing Kangaroos in the ACT. 6.00-7.30pm, Tuesday April 5th 2016, Urambi Village Community Hall, Gateway B, Crozier Circuit Kambah. Speakers: Sheila Newman, Marcus Fillinger, Frankie Seymour. Kangaroos won! Please share. Thanks to everyone who emailed Californian Senators. You joined up to 100,000 people around the world who signed petitions and contacted the Senators directly. The main use - or abuse - of wild kangaroos in California is for the manufacture of soccer cleats! There has been recent media coverage of efforts by the Australian government, in concert with the Australian Kangaroo products industry, to overturn an impending ban on the importation of Kangaroo products to California. The trade in Kangaroo products has been largely in the form of leather products. 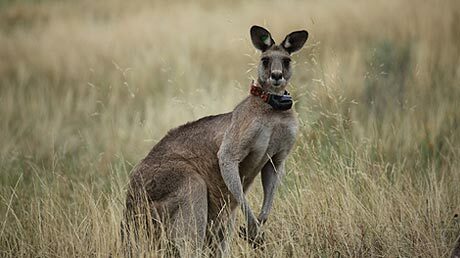 Aside from ethical issues surrounding the underhandedness of the Australian government’s interference in the Californian legislature on this issue, these events raise broader ethical issues about ongoing attempts to commercialize the harvesting of Australian wildlife, including for international trade. An article by Kathy Lord, "Wildlife group 'pushed to the limit', in ABC News, typifies many mainstream press reports on kangaroos as it reports the phenomenon of kangaroos turning up in suburban and urban areas. This article entirely omits to criticise the cause, which is human overpopulation and expansion due to Australian and State goverments' undemocratic policy of inviting mass immigration from interstate and overseas. This needs to be exposed. The article, as stands, makes it look as if kangaroos are for some bizarre reason invading the city. This is grossly unfair and quite callous. The casual references to darting and euthanasia gloss over a completely avoidable problem that breaks the hearts of many Australians who just want the suburban expansion and its destruction of nature to stop. The Australian Wildlife Protection Council (AWPC) is gravely concerned by the ‘use and commercialisation of Australian native animals’, their extinction rates, cruelty inflicted on them, and recreational hunting. Even more so, given that Australia has the world’s highest extinction rate. Instead of apologising for crimes against nature, the Victorian State Government seeks to extend further exploitation. On 22 February 2012 former Premier Ted Baillieu issued a change in the Administration of Acts under a General Order. He allocated sections of the Flora and Fauna Guarantee Act 1988 and sections of the Wildlife Act 1975 to Agriculture Minister Peter Walsh. These sections ‘legally’ paved the way for a commercial kangaroo killing industry to be re-introduced into Victoria, after having been banned for many good reasons in 1982. On the Sunshine Coast development has destroyed a great deal of the beautiful natural surroundings that attracted people there in the first place. Native animals are being cruelly decimated by starvation and exposure. Brett Clifton sent these photographs of the late, much lamented "Bim-Bim", a siamese cat who was a great friend to baby kangaroos in Brett's care. This is also partly a response to a comment from a person who posted to this site this morning that she had just lost her great friend, Bessie, a dog, to roadkill. We have all shared such sadness for our friends from other species. JUST IN! Conrad Annals, Acting Chief Ranger for Northern Melbourne district has advised that there is no kangaroo cull planned in Plenty Gorge next Monday and Wednesday nights, contradicting what published here on August 9. He could not comment on the lack of wildlife corridors to and from Plenty Gorge in the face of high human economic immigration numbers resulting in rapid population growth and infrastructure expansion in Melbourne and the rest of Australia. The growth lobby (of which the organisers and beneficiaries are mainly property developers) is both benefiting from and causing this unnecessary high human population growth. Department of Sustainability and Environment (DSE) protects and advances the costly interests of the growth lobby whilst pretending to protect our wildlife. The growth is unnecessary and so is culling. There is another way: Wildlife corridors and relocation as well as stopping high immigration. A recent article about Nigel Franks, who tortured a female kangaroo and cruelly disposed of her joey, led to expressions of despair and horror about this young man's behaviour. A criminological link between cruelty to animals and cruelty to humans was drawn. I would like to suggest here that there may also be a political explanation in the normalisation of cruelty to animals by Australian authorities. Governments are demonstrating that they think it is okay to mistreat these sentient creatures, with the thinnest of justifications. At the end of this article I will suggest that this political attitude may forerun government violence against citizens in Australia. The photographs in this article of a mass-burial pit in Canberra for kangaroos gunned down by the government was sent to me by 'Friends of AnimalArmy' with the message, "We cannot find an investigative journalist anywhere who will expose the corruption and the lies." I cannot understand why not. Don't we want to know the truth? Canberra's Nature parks will be closed tomorrow for a "cull" of Eastern Grey Kangaroos. About 2000 are to be slaughtered for a "sustainable" number, to protect the flora and fauna. Polls of about 600 residents reveal that 79% of the city want the killings to go ahead. It's ironical that 9 "Nature" parks will be closed, under that assumption that kangaroos are not part of Nature and a threat to conservation efforts and sustainability. There are many anthropogenic impacts of human population growth on Australian society, and planet. Shallow policy-making based on economic health at the detriment of the majority of the people of Australia is about pandering to the the "needs" of big businesses and those who benefit from growth. The impacts are not only on people, but on animals. “Sustainability” is often referred to as being about ensuring comfortable human survival, and not other species. Author Margaret Warner has produced a new fun book and guide for teachers and children to learn about an animal that should be celebrated and honoured as endemic to Australia, and one of the world's most recognizable national symbols. Targeted for ages 7 - 12 years, with all pages photocopy masters suitable for school use.